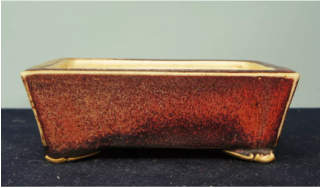 Ichihasi Wajaku (or Kazusuzume / Sum Sparrow) is a highly regarded deceased master from Kyoto, and one of the finest makers of shohin pots. 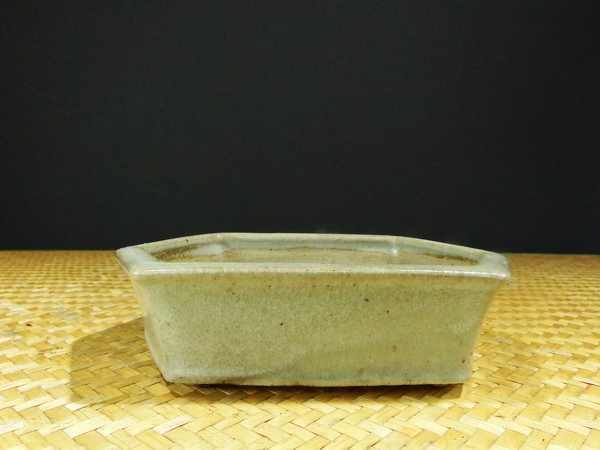 Aged 31, he started his bonsai pottery career in 1964, and created mostly unglazed pots carved from a single block of clay. 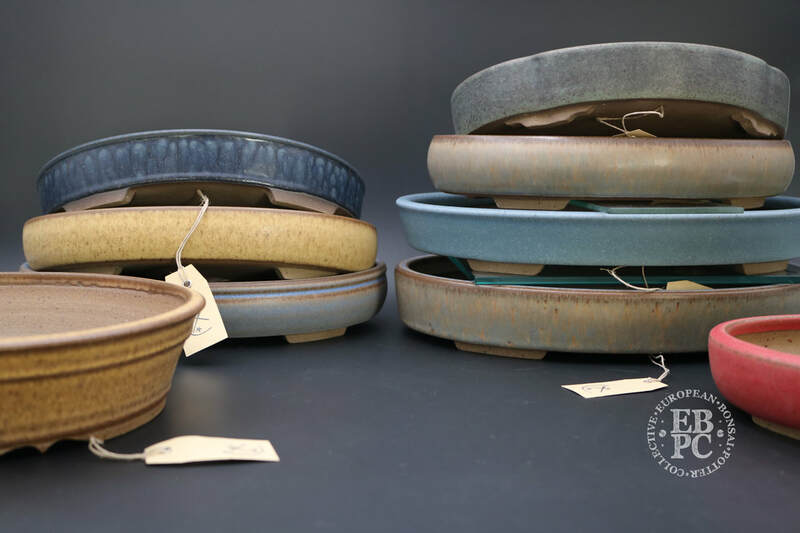 He also made some slab made pots and some glazed pots. 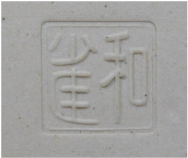 He passed away in 1980. 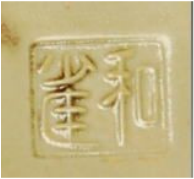 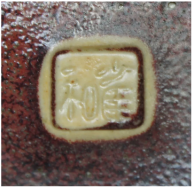 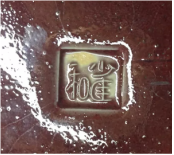 The quality of his pots is first rate and the best glazed shohin examples by Wajaku can demand up to a couple of thousand pounds; as a search of the popular Japanese pot sellers reveals. 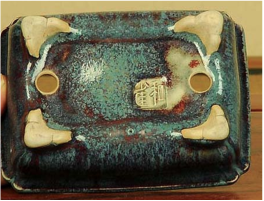 He is one of the few Japanese potters to carve his works from a solid block of clay, making them more durable and finished to a higher degree of accuracy and refinement. 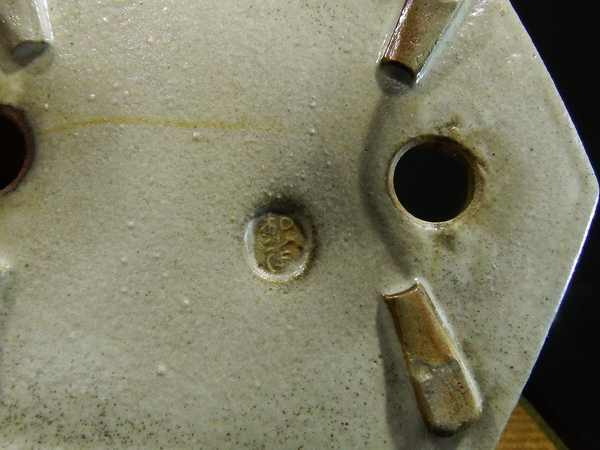 He also glazed the underside of his pots, which most potters do not. 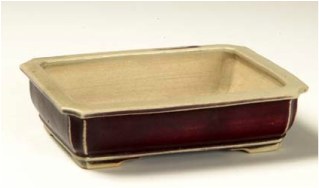 A low rectangle with a thick Oxblood glaze covering details such as subtle cut corners and block feet. 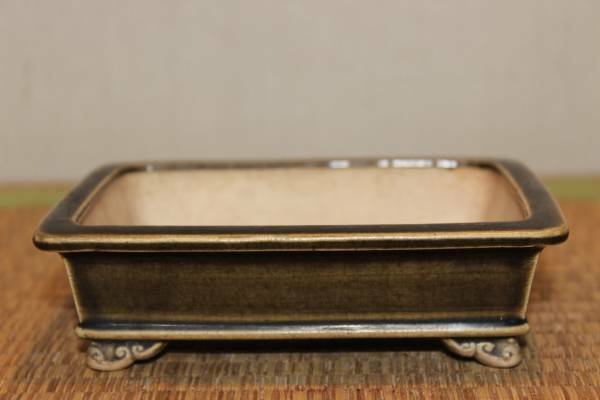 A deep rectangular shohin with subtly curving sides, integral feet, and a stunning white crackle glaze. 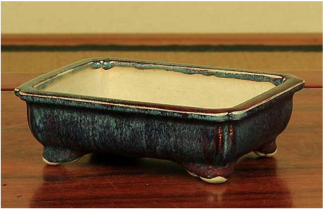 A superbly crafted shohin rectangle, with cut corner detail, and a rich oxblood glaze, which has thinned at the edges to the white clay beneath, producing a wonderful effect. 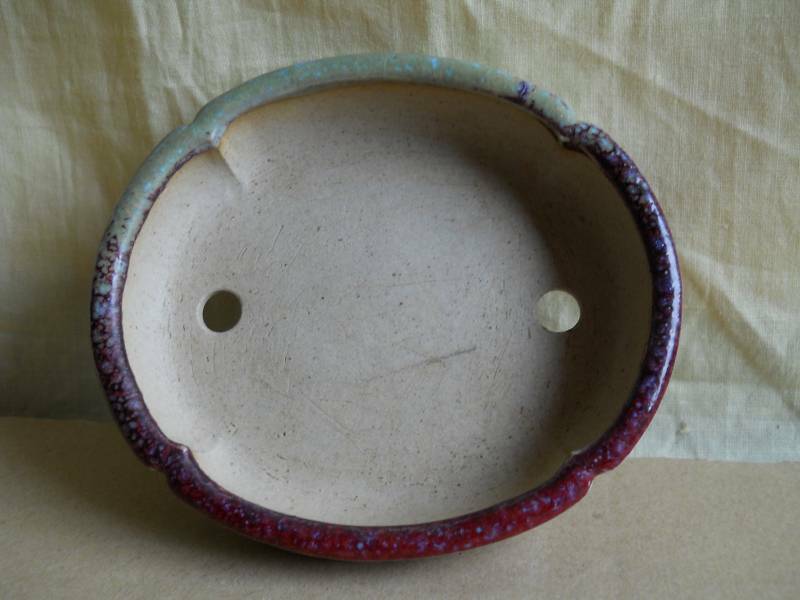 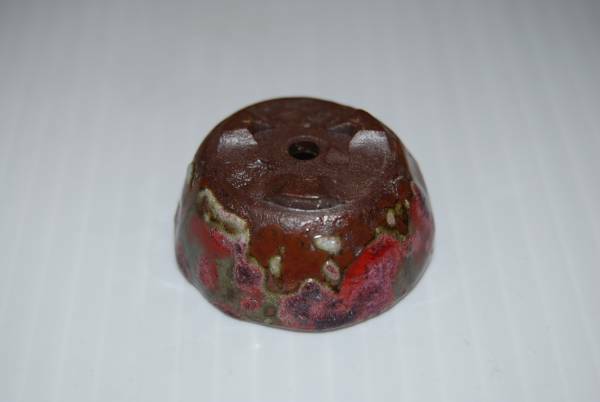 A wonderful glaze with blues and greens seemingly over a base glaze of Oxblood red to superb effect. 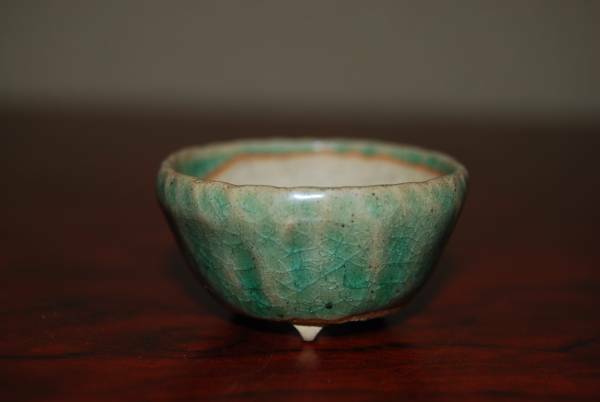 Some areas are mottled, some running, and some display an almost namako glaze. 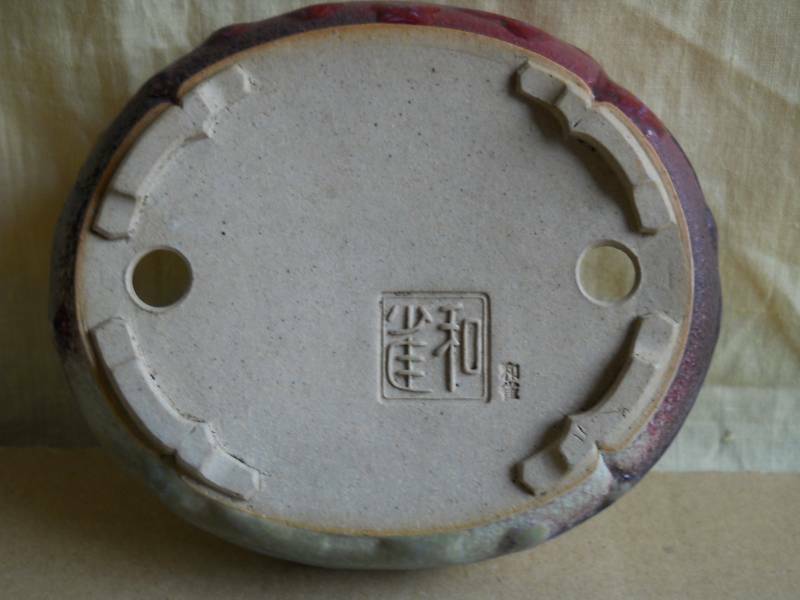 A beautifully made pot suitable for any show globally. 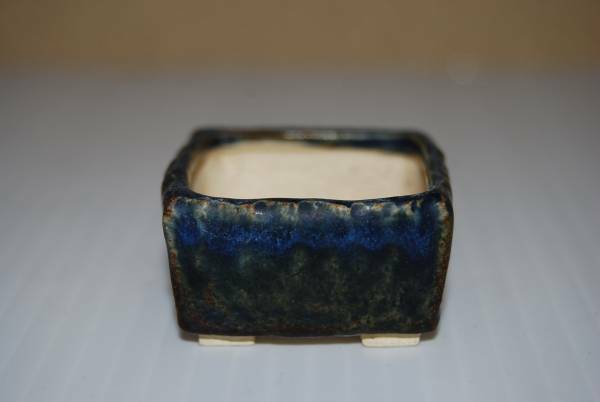 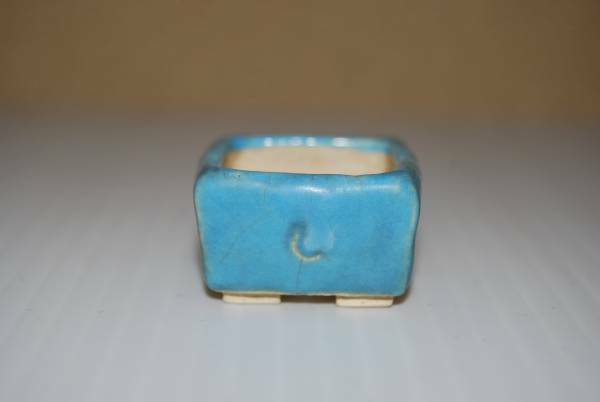 A stunning texture and colour to the glaze on this beautifully formed rectangle for mame / smaller shohin. 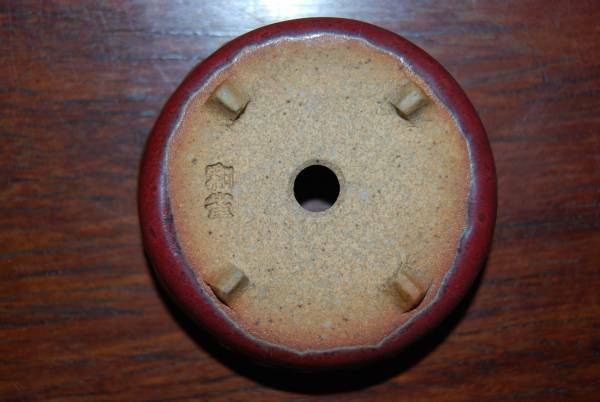 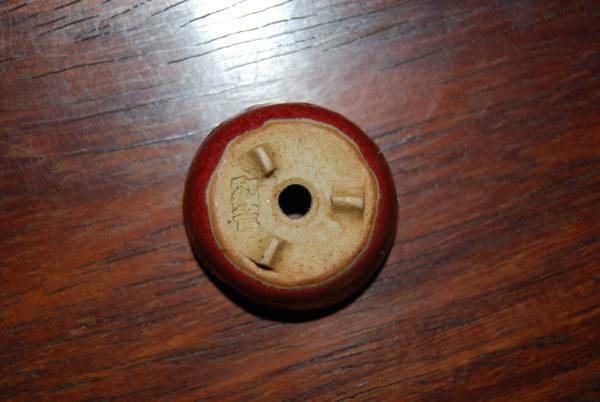 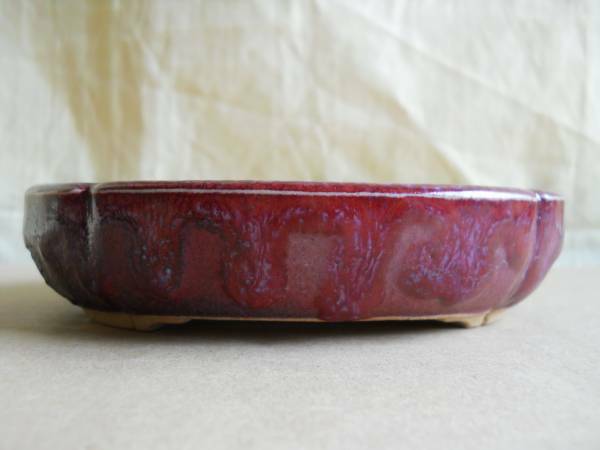 A well made oval with gently sloping sides, block cut feet, and a beautiful glaze of Oxblood over cream. 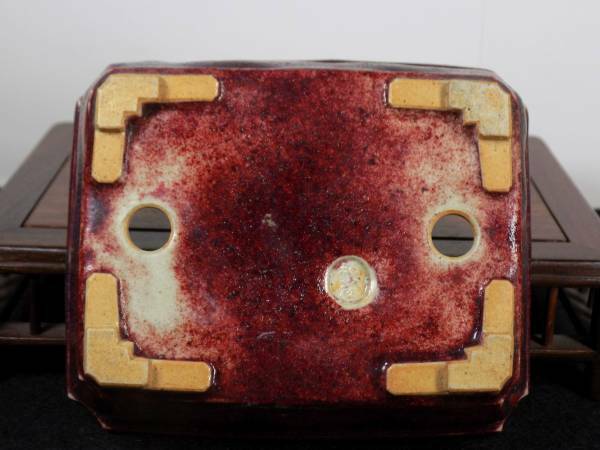 A larger shallow shohin rectangle, with Oxblood glaze, thinned to highlight the basal and upper band details. 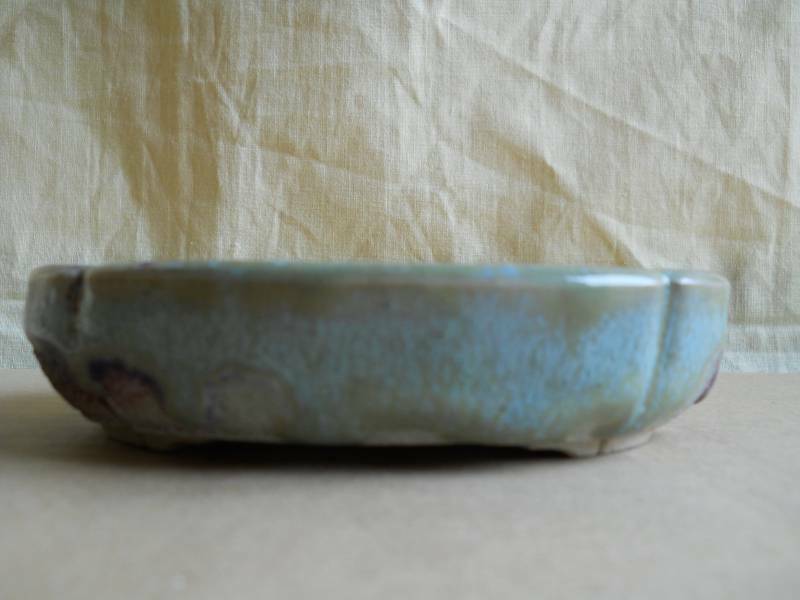 A beautifully formed pot with cloud feet, basal band, upper rim, and a stunning buckwheat glaze. 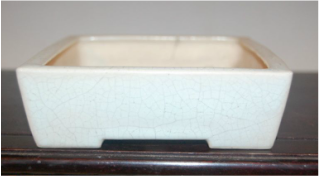 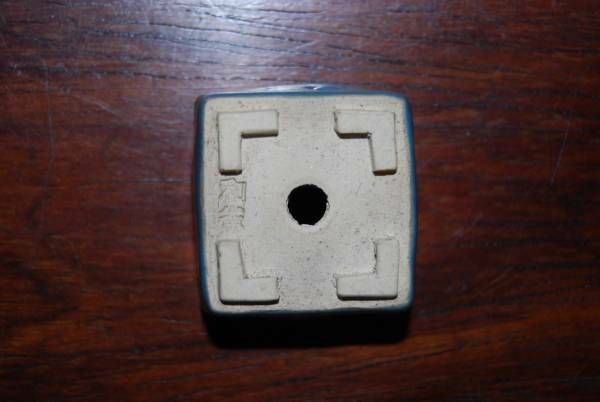 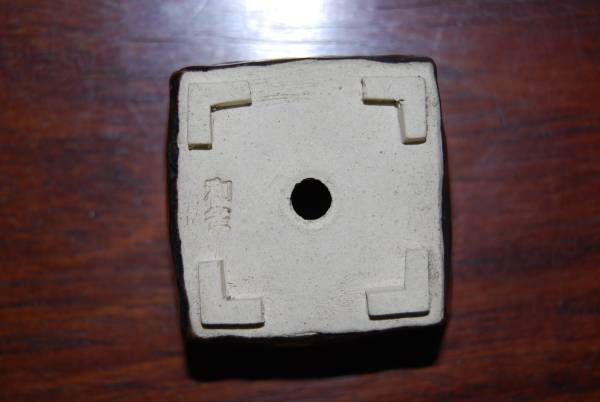 An interesting hyrib rectangle / hexagon design pot with a speckled light green glaze. 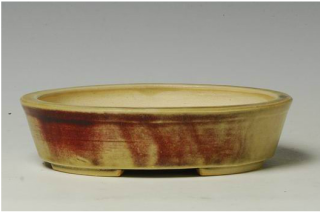 An beautifully formed shohin sized mokko / oval, with the most incredible kinyo and cinnabr glaze, with blues, greens, reds, and purples. 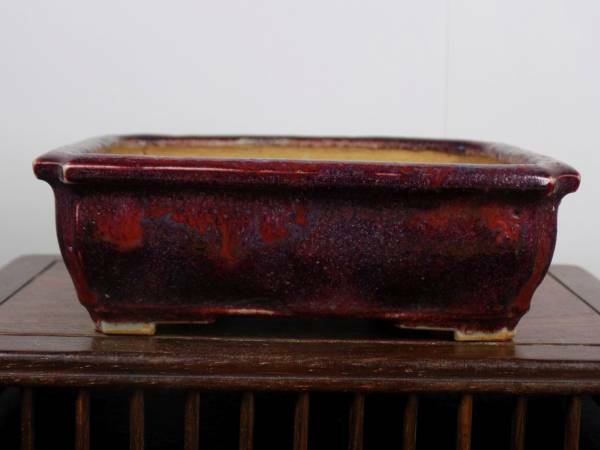 Stunning shape and glaze shohin rectangle in cinnabar. 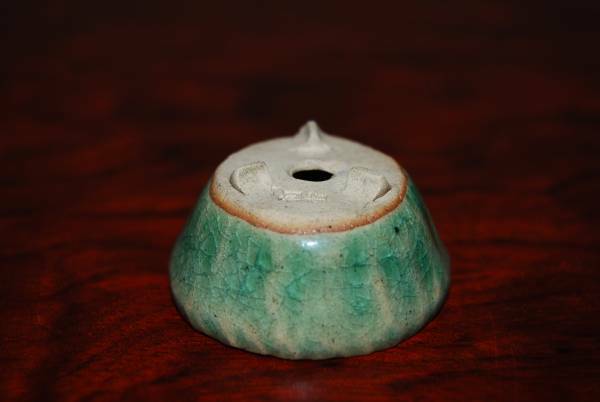 ... and some tiny pots!! 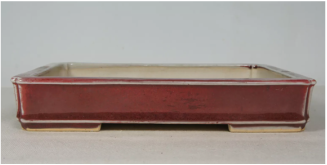 A low round shito sized container in red. 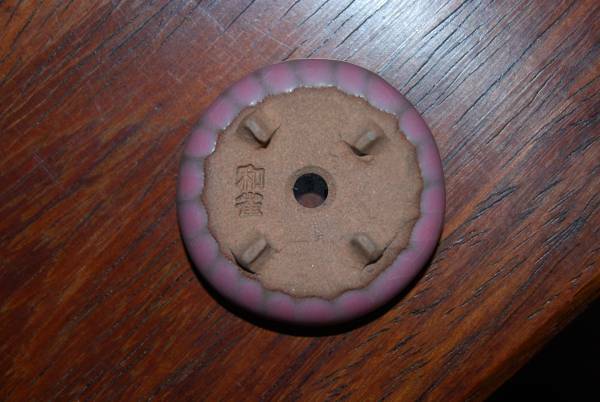 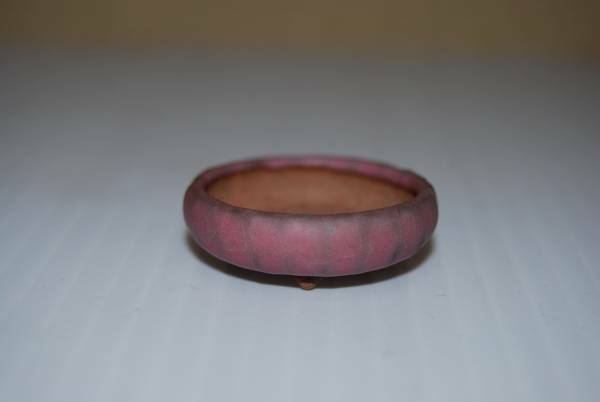 A low round pot in pink! 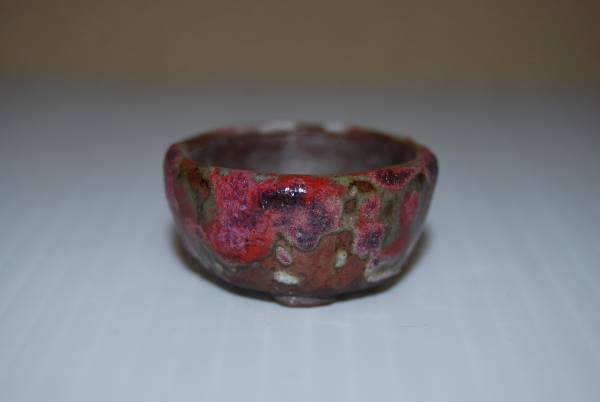 A shito bowl in a cinnabar glaze. 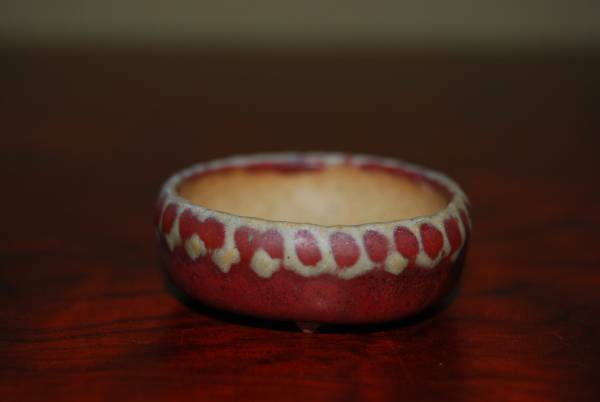 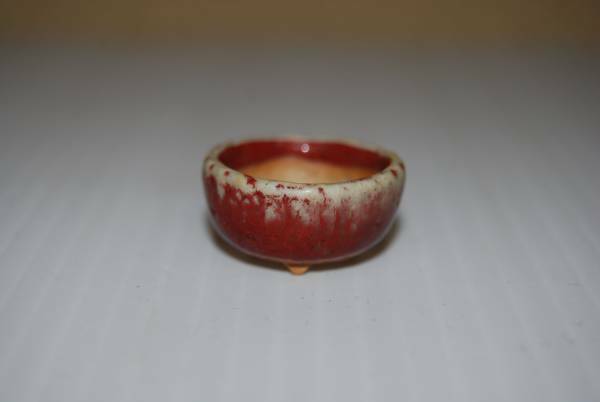 A tiny bowl, in a chicken blood glaze.